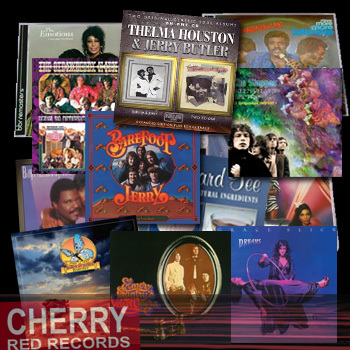 Share the post "News: CHERRY PICKIN’: Win six albums in our Xmas competition"
This hour long sequence signposts latest releases (October/November) from the Cherry Red group of labels including Esoteric, Big Break Records and Soul Music Records amongst others. The selection includes albums by Kool & The Gang, The Emotions, Grace Slick and Strawberry Alarm Clock. As it’s our end-of-year special we’re also giving away a rare Todd Rundgren vinyl test pressing along with an extra set of six soul/R&B themed albums! This is the ninth in our series, the previous shows are available via iTunes and in our podcast section. This entry was posted in ALBUM REVIEWS, ALBUM REVIEWS (Mobile), All Posts, Competitions, Get Ready to ROCK! Radio, NEWS and tagged Cherry Red Records, New releases, pop, prog, psychedelic, R&B, rock, soul. Bookmark the permalink.